Staying away from adware programs is important because they might inadvertently expose your computer to serious malware infections. That is not to say that the likes of RealDeal try to infect your PC with malware on purpose. To tell you the truth, RealDeal is simply a tool used by malevolent third parties. You can avoid serious computer security issues if you remove RealDeal on time. Do not allow this adware application to remain on your system. What is more, you should scan your PC in search for other unwanted applications since it is very likely that you might have some. Users often install such applications as RealDeal onto their computers themselves. They do not even notice how or when RealDeal enters the system because they are usually too preoccupied with the freeware app they wanted install in the first place. However, a disturbing fact is that freeware apps from third-party websites are often bundled with additional software and RealDeal might be one of those programs. Hence, users install this adware by skipping important installation steps. It is also possible to get infected with RealDeal by clicking an outgoing link on an online gaming or some ad-supported website. The most important thing is to realize that you should never click links to unknown websites. It is not safe to trust blindly anything you see on the Internet. We are familiar with such adware applications as RealDeal. It is one of the programs that randomize their names upon the installation. Also, we can see that the program’s installer was made with InstalleRex-WebPick, so we can place RealDeal into the same group as TicTacCoupons, YouTubeAdblocker, RegularDeals, DownSave and many other similar applications. All of them are known to affect Mozilla Firefox, Google Chrome and Internet Explorer web browsers. RealDeal also adds extensions to the aforementioned browsers, randomizing their names to realddeeal, rEallddeal, reAldeal and many other variations. With this adware program on your computer, you will experience a constant onslaught of annoying commercial advertisements. You will be offered great deals for groceries or apparel, but clicking RealDeal ads would only redirect you to annoying websites that distribute even more adware applications (and in the most extreme cases – malware). It is obvious that you need to uninstall RealDeal from your computer immediately. You can remove the application via Control Panel, but this way only the browser add-on from Internet Explorer will disappear automatically. 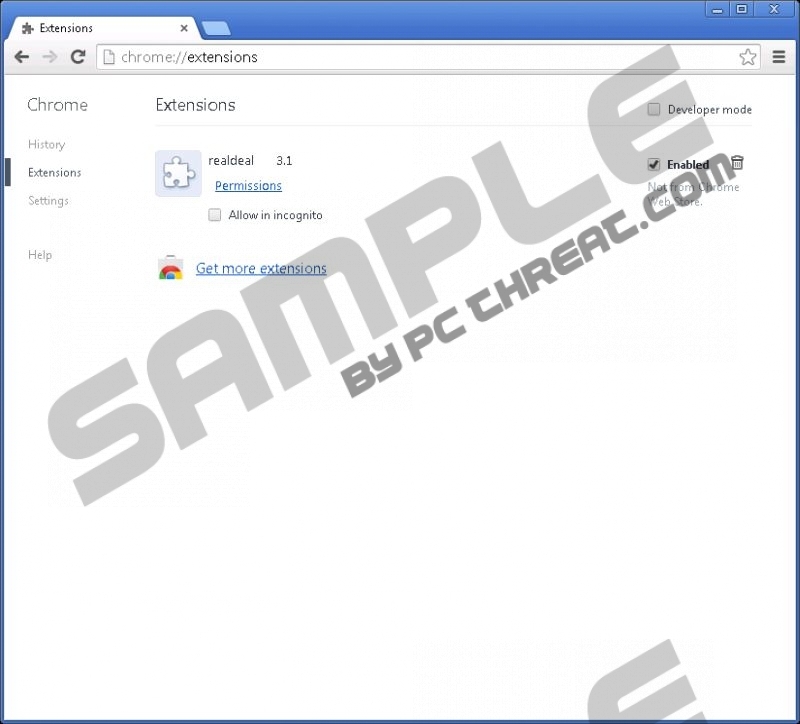 As for the extensions on Mozilla Firefox and Google Chrome – you will have to delete them yourself. Follow the instructions below to do it, and do not forget to acquire a powerful antispyware application in order to safeguard your system against potential threats in the future. Highlight RealDeal and click Uninstall. Press Start menu button and go to Control Panel. Select Uninstall a program and remove RealDeal. 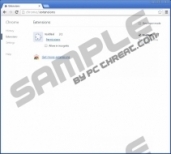 Access Add or remove programs and uninstall RealDeal. Disable and remove RealDeal from Extensions. Open Extensions and remove RealDeal. Quick & tested solution for RealDeal removal. windows 7 real deal is shown as an add on, not a program. under add on the disable field is shaded so so I can't uninstall it. how else can I do this?? Robert, in your search bar at the top, type in "about:plugins". It will have a better description of the plugin, and it will show the file path in the computer. You can manually delete it.